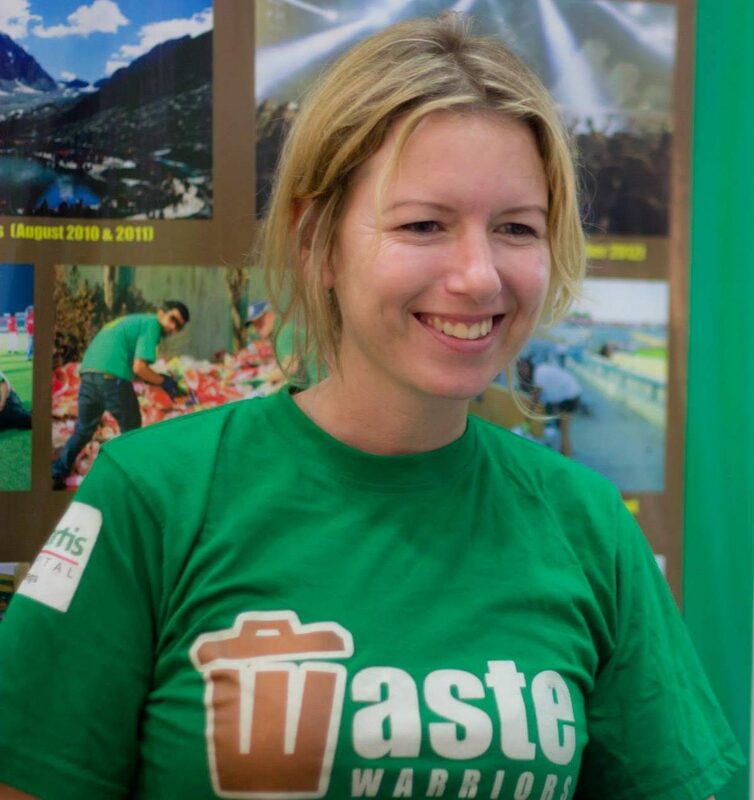 Jodie is the Co-founder of Waste Warriors and has started and worked extensively in both the Dehradun and Dharamsala project locations, as well as at multiple large events around India. Born in Great Yarmouth, England in 1976, Jodie became better known as 'Garbage Girl' here in India because of her tough and uncompromising work towards clean-up drives and waste management solutions. Jodie has more than eight years of waste management experience and will always represent the spirit and strength behind our organization. She is now back in the UK but still supports our head office team through her partnership development and fundraising work. 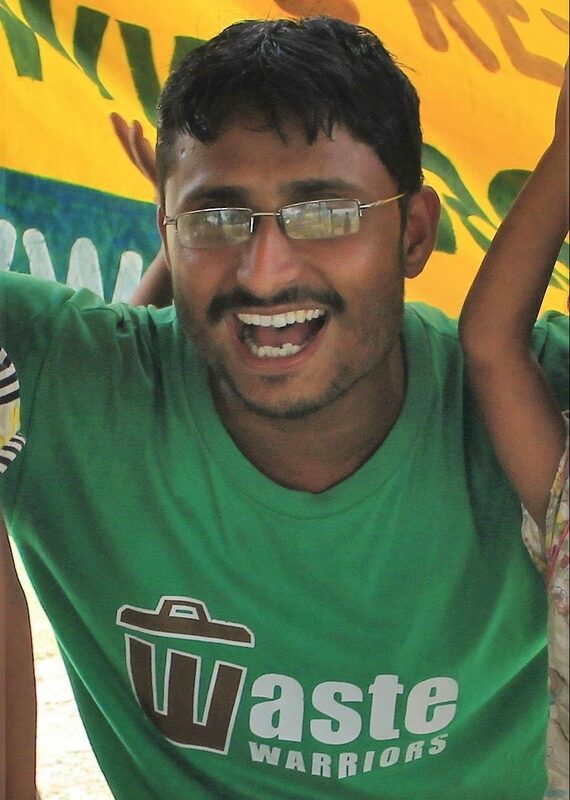 As a student of Computer Science, Avinash first got in touch with Waste Warriors in late 2012 with a motive to volunteer and do his bit. 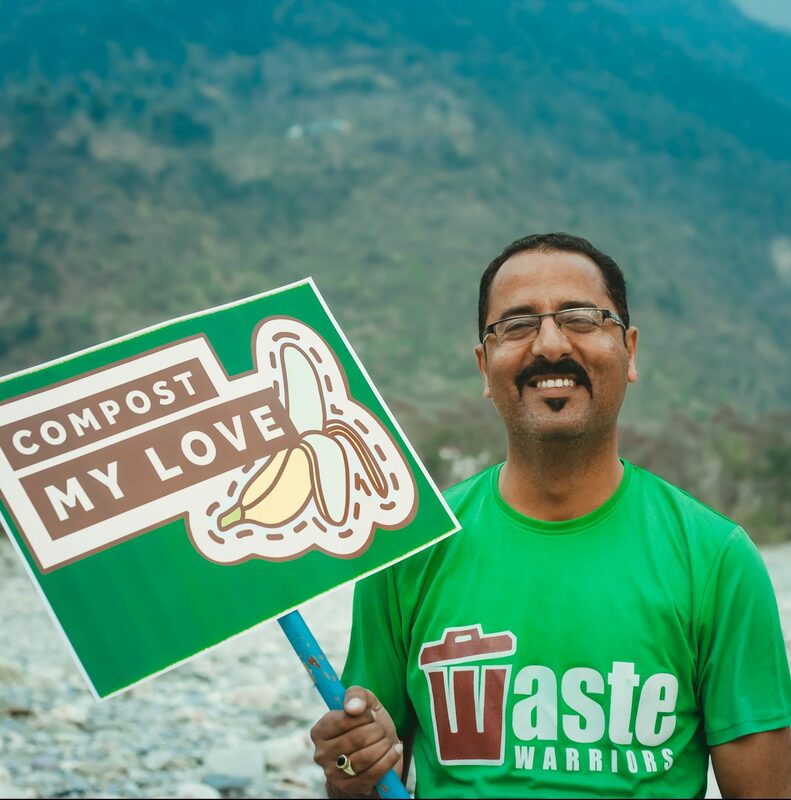 Over the last five years, Avinash has been involved in Waste Warriors and its mission in different capacities in the fields ranging from Project Management, Training, Consultancy, and to Strategic Organizational Development. Today, through the guidance of his mentor, Jodie, Avinash is now the Chief Operations Officer and works on restructuring the project management to have better systems in place for data-driven decision-making and impact assessment, bringing the organization one step closer to its dream – A cleaner India. When he is not cleaning up a mountain trail or brainstorming with other team members, he can be found trekking up another mountain peak or cycling to the nearby city for his favorite snack. Chirag grew up in Hyderabad, India, and went to the University of British Columbia, Vancouver, Canada, to do his Bachelor of Arts. He then spent three years in various positions at a Vancouver radio station, CiTR 101.9 FM, including News Director of News 101, Web Editor of Discorder Magazine, Technical Producer of Terry Project Podcast, Producer and Host of Discorder Radio, and Campus Coverage Coordinator. After exploring the radio world, Chirag completed a diploma in audio engineering and post-production from Nimbus School of Recording Arts & Media, Vancouver. After freelancing as a multimedia editor (graphics, sound, and web), he left North America in November 2016 to travel as a backpacker across India, where he saw this country and the issues it faced with garbage from a new perspective. 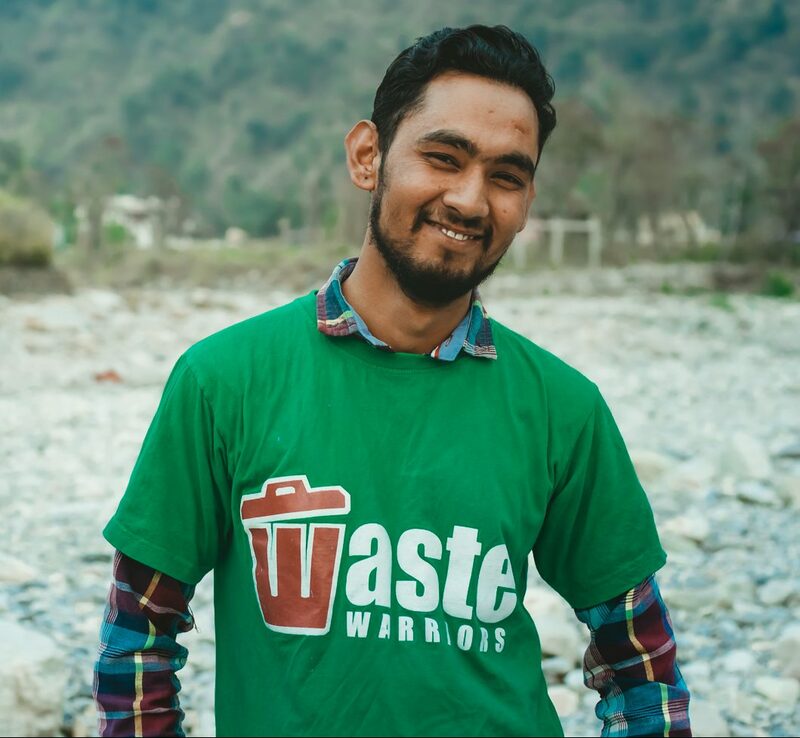 Chirag found out about Waste Warriors and in June 2017 he joined us as a full-time volunteer, eventually becoming our Dharamsala Project Manager. In July 2018, he joined the head office as Communications Manager. Jyoti was born and brought up in Dehradun with a family of five. She has 4 years of experience in accounting and is currently working with us as the Finance Assistant. She has done her graduation in B.Com and her post-graduation in M.Com. 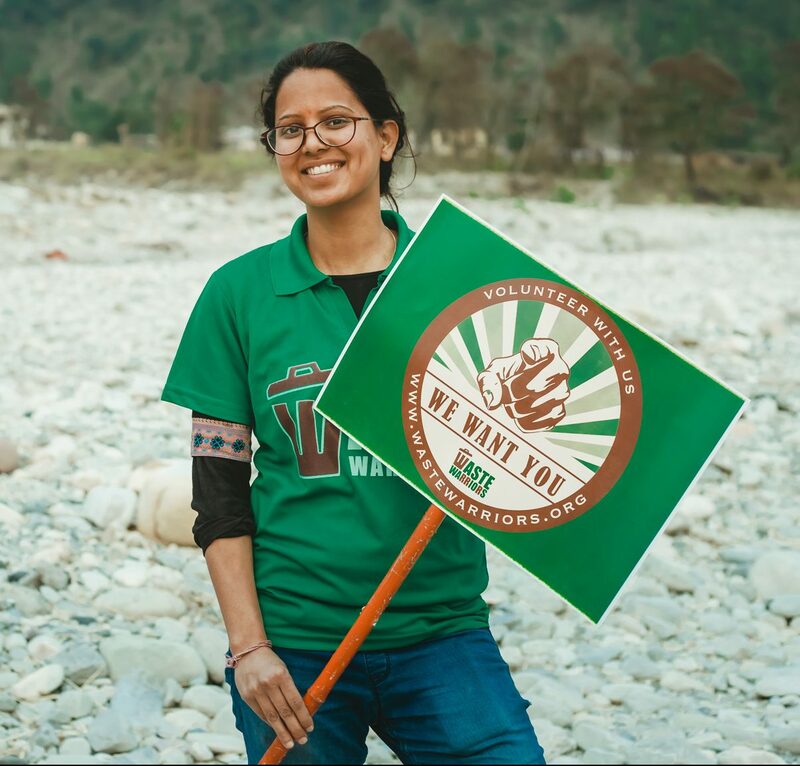 It was when she was travelling to Rishikesh that she noticed individuals littering their area, some of whom were educated and still littering and others who had lacked any awareness of what they were doing. 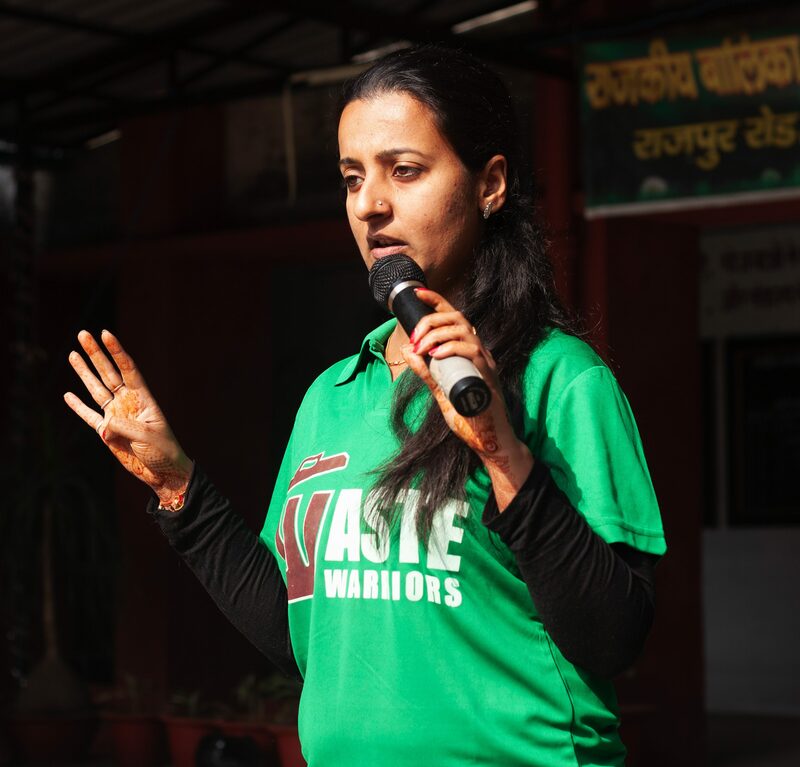 Jyoti took it upon herself to do something and joined Waste Warriors. She has been working with our team since February 2018. 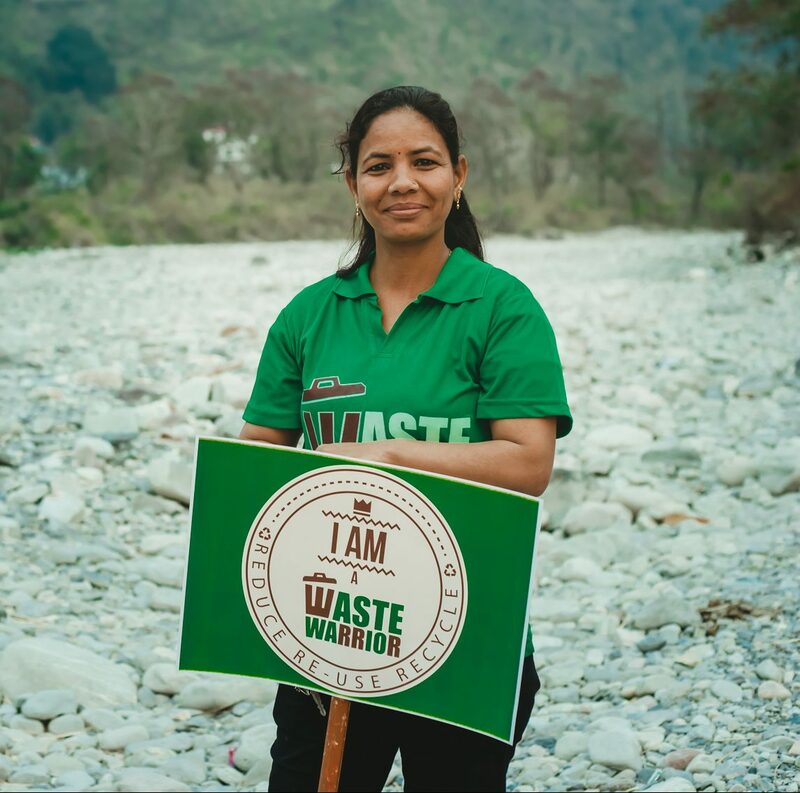 After working with Punjab National Bank for two years and the PAN card office for five years, Vijayshwari joined Waste Warriors in January 2017 as an Admin Assistant. 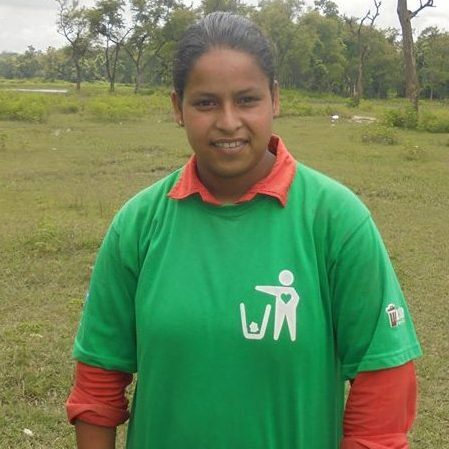 She feels very proud to be working with Waste Warriors, as it has enhanced her knowledge about waste management. We are happy to have her with us as she is very responsible and undertakes all her office duties very efficiently. Growing up in Muzaffarnagar (UP) kept Richa from the temptations of seeing the world outside her small town. It was only when she ventured out for her M.Sc. in Environmental Science from Doon University in the beautiful Doon valley in 2011 that she got a chance to see more. 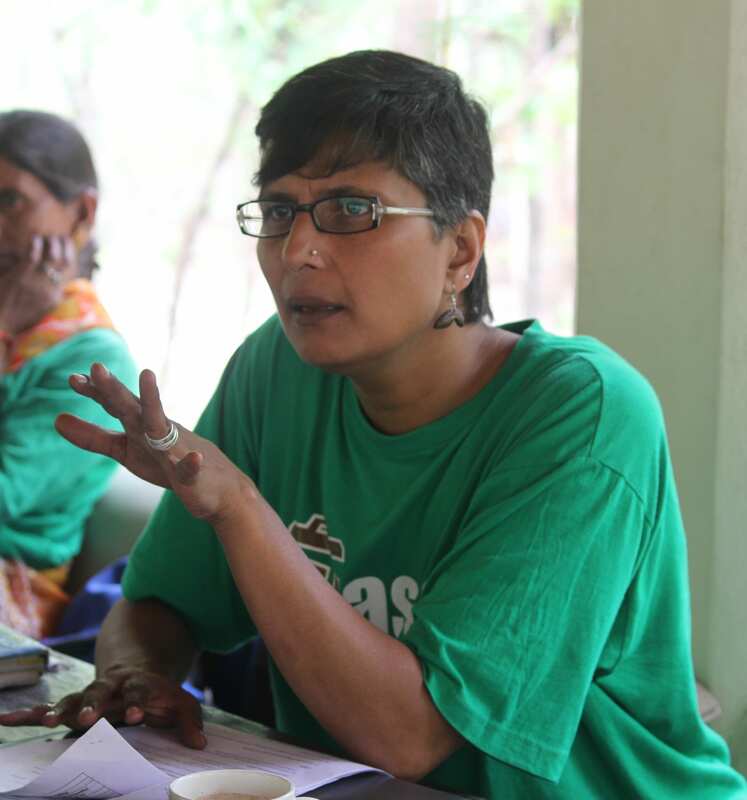 Over the last four years, Richa has been involved in different organizations, including Center For Sustainable Development, Sakshi, Avanti, and Agrasar, working towards making better changes in society. She believes in people and their power to change, and that only constant efforts and a positive attitude can make a significant difference. When Richa is not working with and managing with her team, she can be found with her books and colours, exploring nature and the Dharamsala landscape. Yogesh is an experienced Operations Manager, and is known for helping, educating, supporting Green Workers, volunteers and interns. He’s driven by a passion for a better and greener India. He is a positive thinker and innovative in handling complexities and challenges. He started his career as a Technical Security Adviser after completing various Microsoft certifications, but left after few months as he felt sitting in front of a computer is not exactly what he was looking for. He then joined a R&D firm and worked there for 4 years and traveled all over India working on different projects. During his tenure, he got the opportunity to work with global institutions such as GiZ, IARD, MFO, UCLA, Columbia University, Harvard University, Duke University, New York University etc. Working with academics and policy makers from around the globe helped him develop and enhance his interpersonal skills. 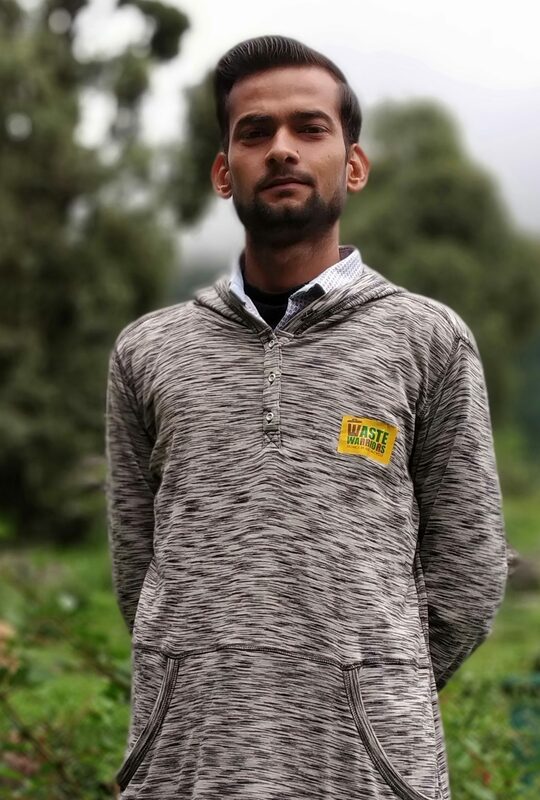 Yogesh now spends his time on the managing the Dharamsala project's operations, advocacy, and volunteer/intern management. When he is not doing a cleanup or managing daily operations, he can be found training himself as a kickboxer. After graduating from Delhi University, Shubham started a 3-month internship in a startup in Gurgaon, after which he signed up as one of their inside sales and marketing associates. But Shubham soon realised this was not what he wanted in life, that it wasn’t at all satisfying to do something so seemingly standard and unproductive and barely intellectual, which really mattered to him. It was then that Shubham met Avinash, at an ultramarathon event in Delhi-NCR where his sister took him to volunteer for the Globeracers team. Shubham was very impressed by the energy Avinash had and decide right there that he also wanted to do something different like that. 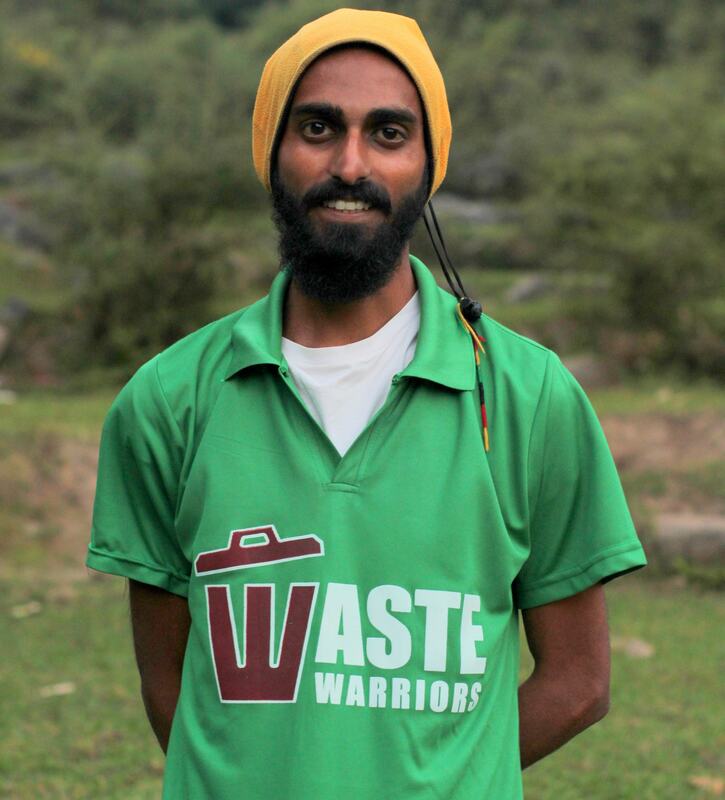 He started volunteering with Avinash in more ultramarathons and began to learn more about Waste Warriors. 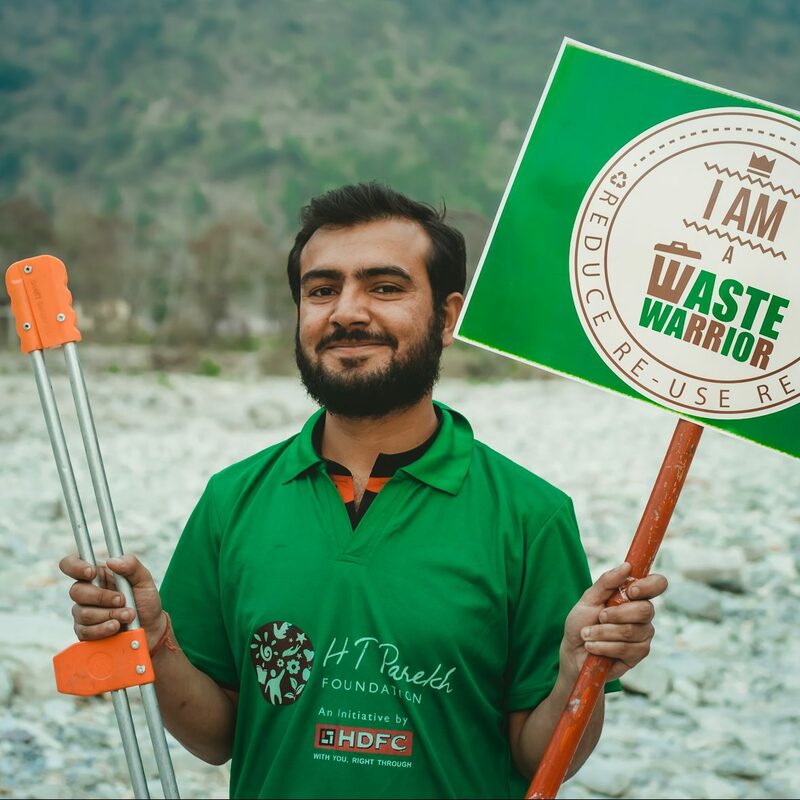 In January 2018, Shubham joined our Dharamsala project to take on our public awareness initiatives. Almost every day, he gets to connect with a wide range of people, from Himachali families and businesses-owners in Bhagsu, to visiting tourists, hikers, and even taxi drivers. 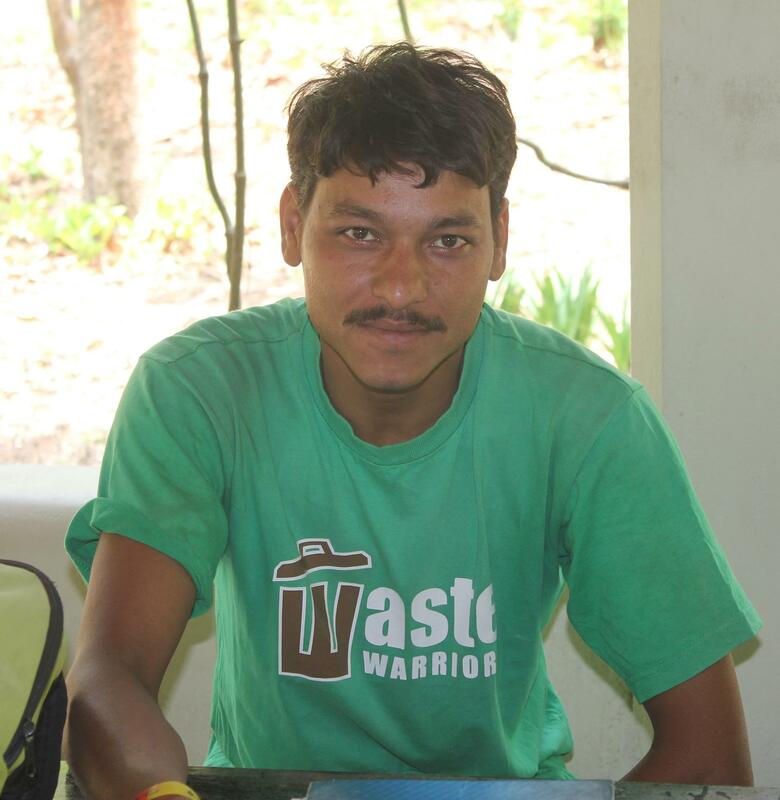 Vicky, as he is known in our office, used to work at a shop at Bhagsu Waterfall and was volunteering with Waste Warriors with their clean-up drives. He officially joined the team as a Project Assistant in the year 2017 and since then has worked with a single aim, to keep the Galu area clean and devoid of litter and garbage. Vicky was born and brought up in the Dharamsala region and has seen how tourism has affected the ecology of the place. According to him, even locals are not very interested or even aware of the effects of irresponsible garbage disposal but this issue can be curbed through proper awareness programs. Born and brought up in Assam, Mithinga has always spent her growing years surrounded by nature, be it in the lush green campus of NIT, Hamirpur or Joka land of IIM Calcutta. Although she worked for more than 4 years (on & off) in the corporate world, she always felt there was a higher calling that she wanted to follow. Eventually fed up with the chaotic and unfulfilling city and corporate life, she took a chance and decided to follow her heart. Travelling from Spiti valley in the north to Auroville in the south, she volunteered in the launch of Zostel Kaza, a forest regeneration project in Sadhana Forest and Solitude Farm, which follows the philosophy of Masanobu Fukuoka. The experiences she had not only changed her outlook on life and work, but made her believe in sustainable and conscious living. You can call it a beautiful coincidence or destiny that she became a part of Waste Warriors and she is loving every bit of it. If not working, she can be found planning her next solo trip on her Splendor or learning how to swim to be the next Michael Phelps or go in hibernation with a ‘Friends’ season marathon. Aman has experience in process management, quality and training. He is a science graduate, a GNIIT-ian and an MCA dropout. Lived in Delhi NCR and after having worked in a corporate environment for more than 9 years, he felt he should add some value to his life by doing something meaningful rather than just working for money. 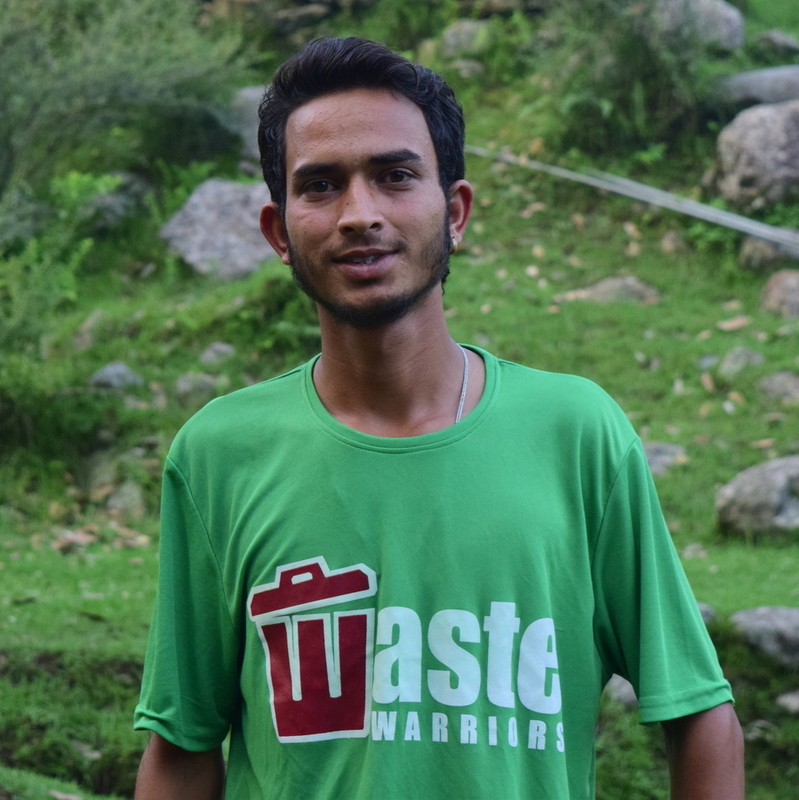 Aman joined Waste Warriors as Operations Manager and heads the direct action team in Dehradun. Aman considers himself a nature lover and admires how the simplest of things can be so beautiful and deeply respects our surroundings. He likes travelling in nature, trekking, taking photos, interacting with people and discovering new places. His hobbies are music, gardening, travelling, photography, sports, and reading. Aman has an Instagram page by the name of Naturebawa which he feels describes his thoughts. Bhuwan grew up in the small Himalayan town of Pithoragarh, Uttrakhand. When he completed his B.Tech. Computer Science degree from an engineering college, he was the first in his family to do so. After working for three years in a couple of IT sales and marketing companies in Pune and Delhi, Bhuwan joined our Dehradun team in January 2018 as a Project Growth Assistant. 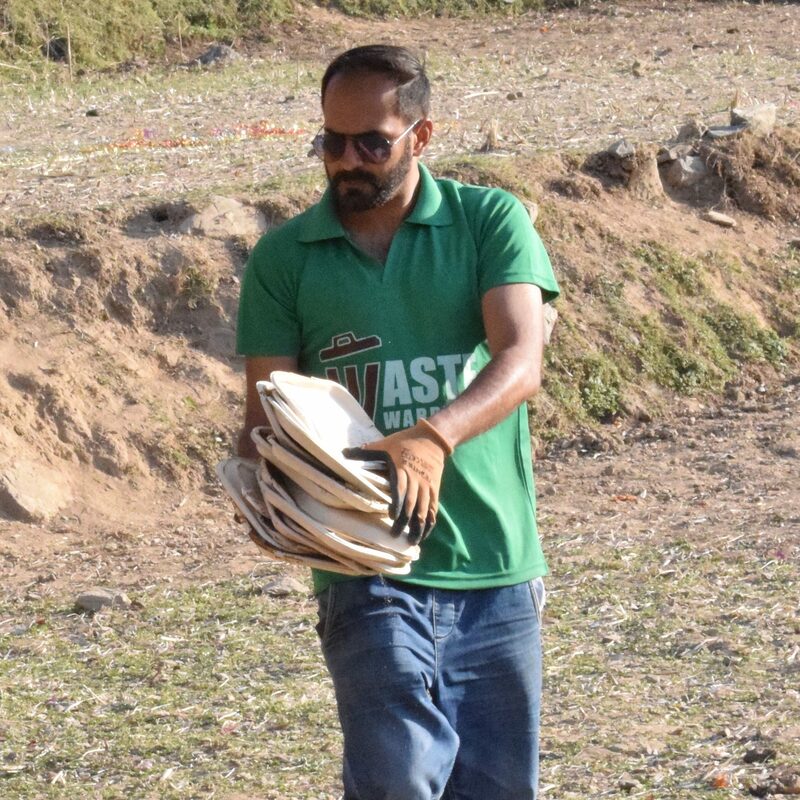 He constantly tries to lend his widening skills to organise proper waste management systems with new establishments across Dehradun, and also works on additional activities including event waste management, waste consultancy, and project planning. 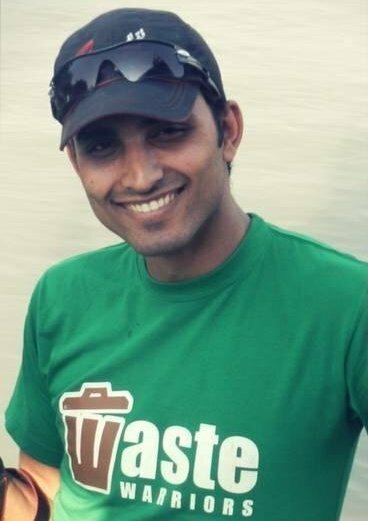 Bhuwan loves preparing reports and proposals, doing site surveys and waste audits, and taking the time to talk to our clients to help them understand and overcome their waste problems. In his free time, Bhuwan loves to read and to listen to all kinds of music. Naveen joined the team in October 2016 and, after handling our daily operations for a year, he is now in charge of our newest department, Outreach & Partnerships, where he works hard to reach out to local community members, including bulk generators such as RWAs and institutions, and developing our relationships with local government authorities that our vital to the development of our projects in Dehradun. He is dynamic, vibrant and innovative in tackling all the complexities of new challenges. He is patient and calm which makes him the ideal person to interact with everyone, from staff to stakeholders to the local municipality. In his personal life he has a small happy family with two children and he enjoys spending time with them and bringing them close to nature. Ankita grew up in Dehradun. During her last year studying MBA, TERI – an organisation which works towards sustainable living – visited her college for an interaction, after which she really started questioning and observing her surroundings. After the completion of her MBA, she worked in the corporate field for 3 months but then realized that a desk job was not what she wanted to invest her time on. So she quit her job and, while taking a course on banking, she volunteered at Waste Warriors as an intern for one year. 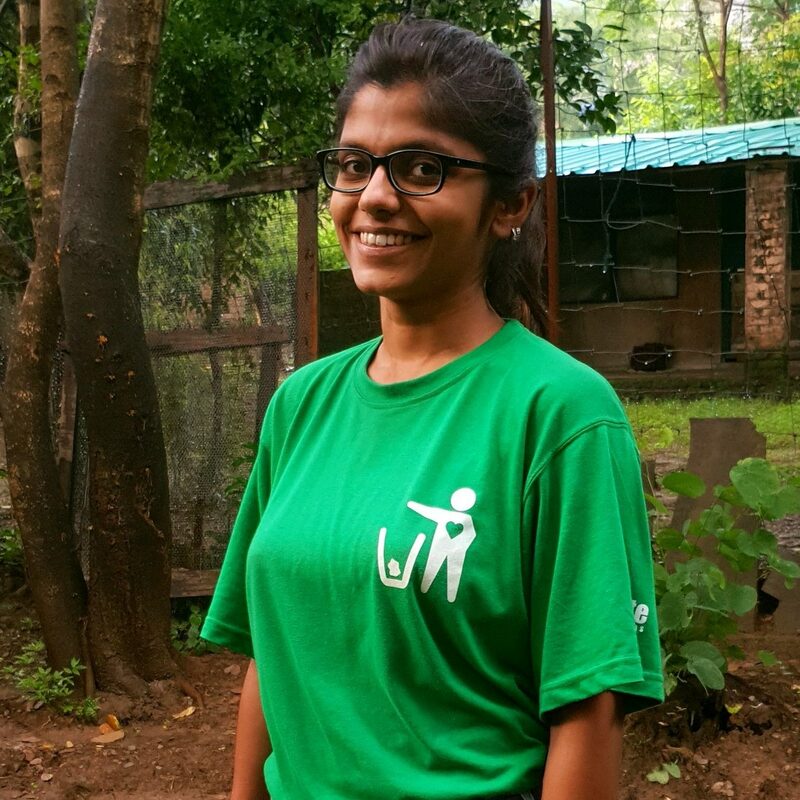 Ankita, in the process of the internship, felt that the field of waste management is where she wanted to work, and now she works with us full time as the Outreach and Partnerships Assistant. After working in the corporate sector for four years, Ankita realized that a desk job was not what she wanted. She was keen to do something which gave her work satisfaction and allowed her to work for a good cause. She became an Education Assistant in March 2017. Ankita enjoys the role as she gets to meet lots of different people and experience new challenges every day. Her job is to go into schools to conduct educational presentations about waste management, do waste related activities with schools, assist schools with clean-up drives and help them to set up waste management systems within the school premises. 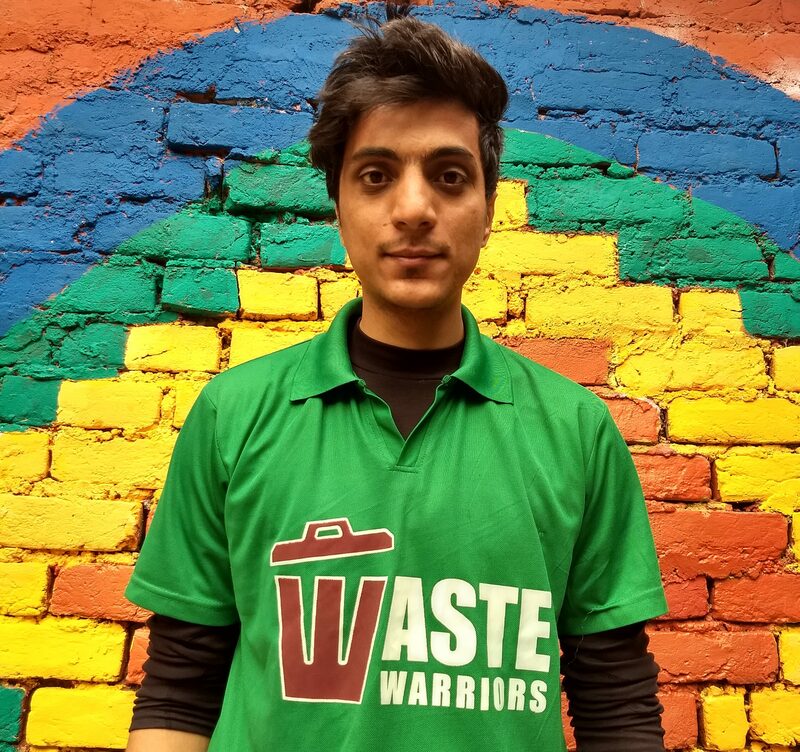 Aslam is our youngest office team member and he joined Waste Warriors in September 2016. After working with Maxwell for five months he decided to look for a more challenging role and something that would enable him to get out in the field. Aslam’s energetic nature and good sense of humor always brightens the day-to-day office work. He is engaged in all kind of activities not just in the office but his specialties are composting enclosure management, ragpicker engagement, and surveys. Aslam is also learning how to take all of the data from the different project locations and inputting it into spreadsheets. 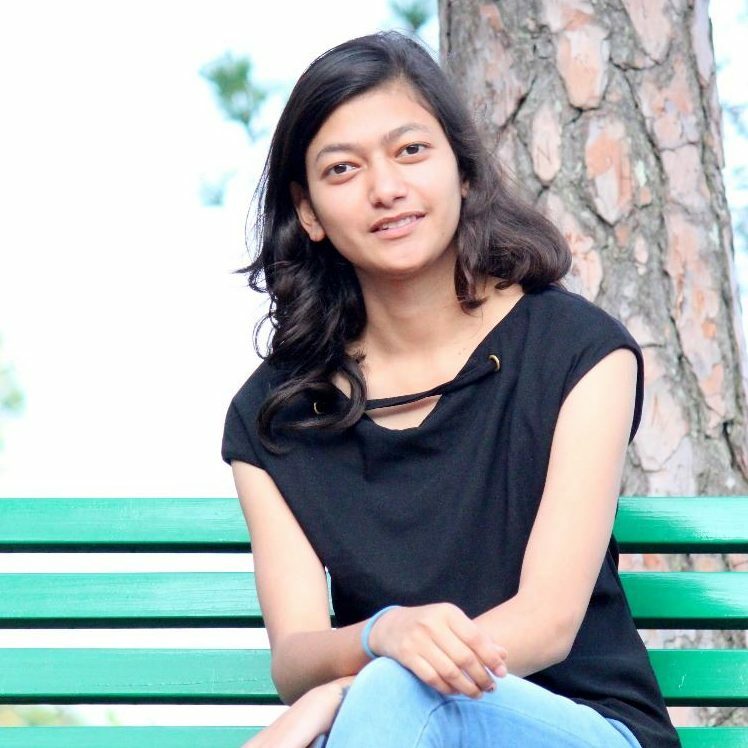 Fun-loving, warm, and friendly, Minakshi Pandey is from Uttarakhand, but spent her formative years in Shillong, in the northeast of India. After a long stint in the hospitality industry, she finally settled by the edge of Corbett Tiger Reserve, where she and her husband owned and managed Camp Forktail Creek, a small jungle camp, for over 12 years. Minakshi has been witness to the massive tourism boom in Corbett and the problems of improper waste management brought along with it. 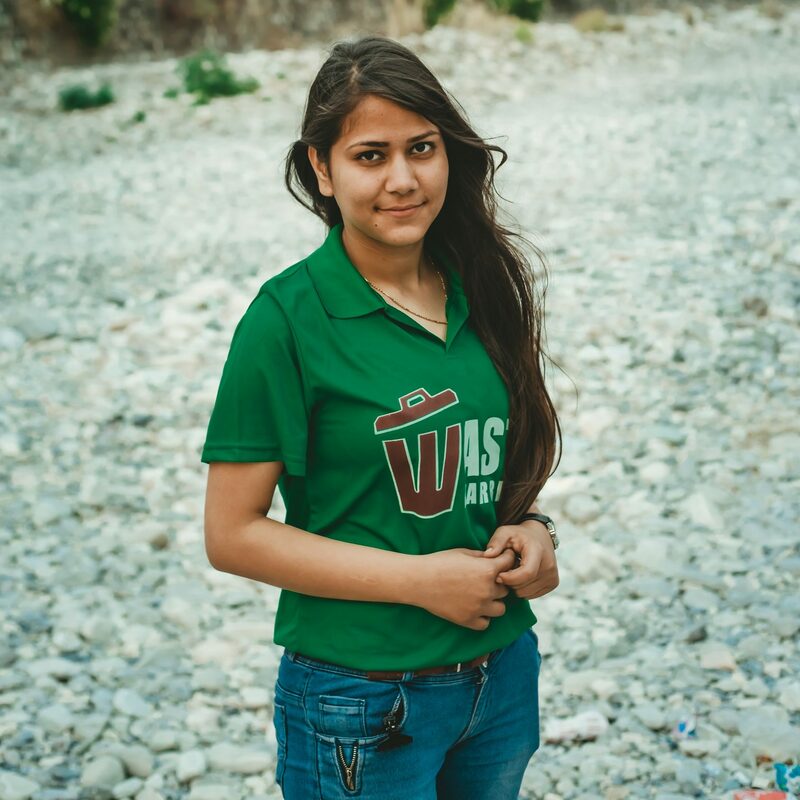 She is now spearheading the Waste Warriors chapter in Corbett. Growing up in Central India was enlightening for Nikita, who learnt about our National Animal while on Family trips as a child to nearby parks such as Kanha, Pench & Bandhavgarh - never had Nikita seen a tiger, however, the experience had captured her imagination completely. Little did she realise that a decade and a bit later she would be sacrificing a well mapped out corporate career to come back to the central Indian Highlands to get her hands dirty and become a Naturalist. 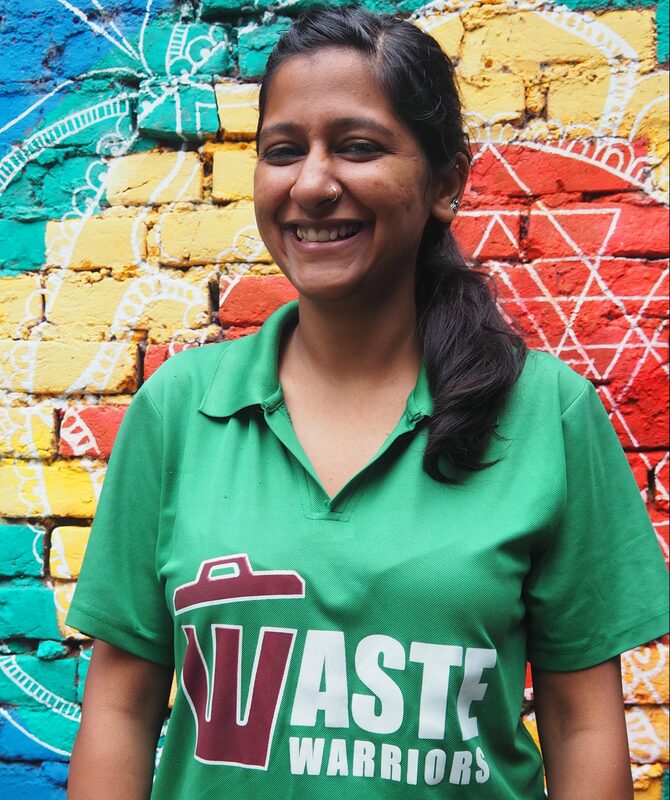 Deeply concerned about our lifestyles and the sheer wastage of resources, Nikita looks to find a balance in the way we live our everyday lives by working with Waste Warriors for a cleaner India. An avid birder, a bird guide and binoculars accompany her wherever she goes. Pawan joined us in December 2014 as a field assistant. He worked incredibly hard on field before quickly rising up to a managerial position, due to his strong desire to learn and willingness to take on responsibility. Originally from Dagkadakoti village in the Almora hills, he lives in Ramnagar. He looks after all admin, HR, and accounts of the Corbett program. 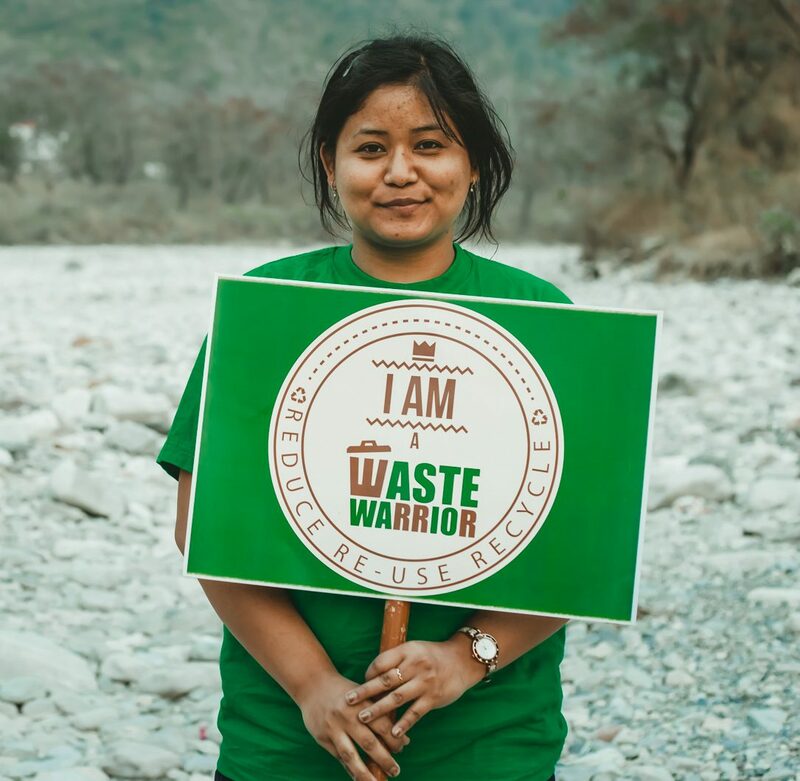 Before joining the Waste Warriors Corbett program, Reeta spent one year in the marketing sector and in data entry. She is a music lover, and loves to read stories and write poetry. This is her third job, and has experience in the data entry work and marketing. Her work is to help in organizing children’s day events with the team and day-to-day work documentation. Born in the Himalayan state of Uttarakhand, Namrata was always in close contact with nature and loves every bit of it. Since her childhood, she wanted to make this world a better place so she pursued her career in MSW. She loves to travel and meet new people. She joined us in July 2018. Navin, a resident of Sunderkhal, is also an employee who has been with us for over two years! He is currently in charge of the Teda village and Sitabani Temple complex and FRH. He also oversees all the composting activities at all our program locations.